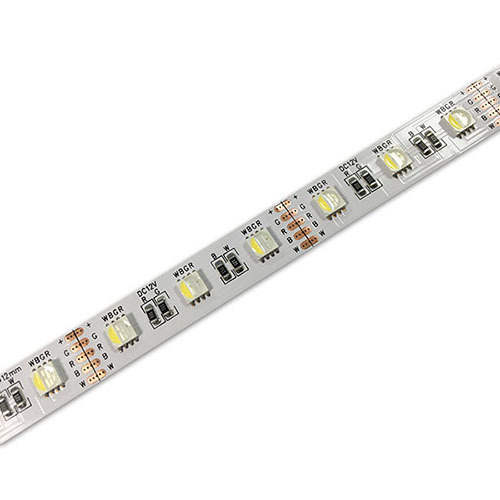 Product categories of 5050 RGBW Strip, we are specialized manufacturers from China, 5050 Rgbw Strip, Waterproof Led Strip suppliers/factory, wholesale high-quality products of 5050 Rgbw Flexible Led Strip R & D and manufacturing, we have the perfect after-sales service and technical support. Look forward to your cooperation! Sourced by high output 5050 LED with good color conformity. 99.99% gold thread, pure copper bracket coated with silver. CRI＞80. Double layer rolled copper FPC. 3M 300LSE tape attached. CE, RoHS and UL certified. City lighting, landscape lighting, commercial lighting and house contour lighting, etc. LBY is a professional manufacturer specialized in developing, manufacturing and marketing of LED light for worldwide sign industry. Since 2004, we have been devoted to designing and producing more efficient and easily-installed LED products. At the same time, we also offer customized design, OEM and work instruction service. Our general target is saving total cost for customers. Lingbenyang emphasizes on product quality. We took a lead in conforming to ISO 9001 Quality System and all of our products are CE, RoHS and UL certificated. We have more than 40 variety of products which won the national invention or design patent.